You can stop worrying whether you’re covering enough with our open and go Fourth Grade Daily Lesson Plans. With our open and go fourth grade daily lesson plans you’ll study history, science, language arts and fine arts together, organized within the framework of nine historical units covering from Creation to Modern. 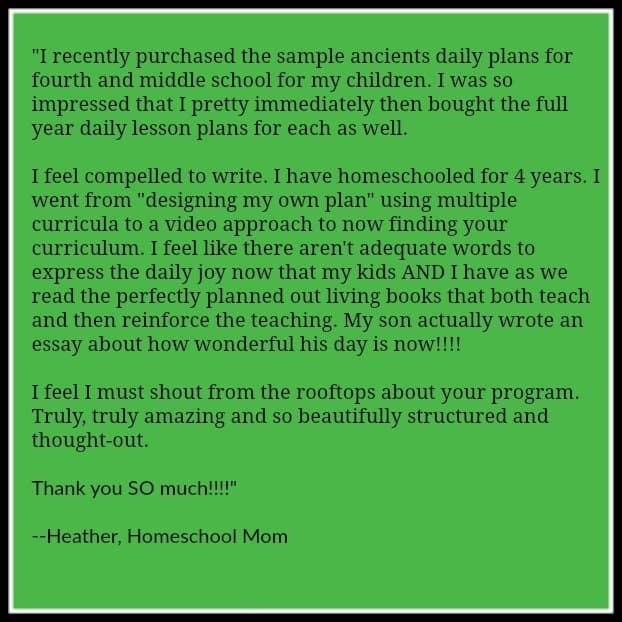 Our structured fourth grade daily lesson plans offer you an easy to follow, clear and organized detailed daily plan for study using real, living books available from your public or church library or online at Amazon.com. See the books we recommend in our third grade lesson plans here. Click to see the Scope and Sequence of our Fourth Grade Daily Lesson Plans. 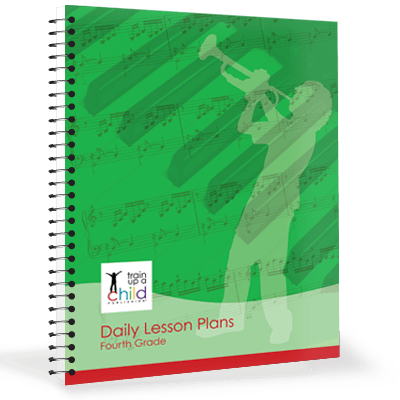 Our daily lesson plans are available printed in black and white and spiral bound, or as an immediate digital download.